On November 4th there will be a midterm election in the US in which 33 of 100 senators and all 435 members of the House will be up for election (there are also state and local races). 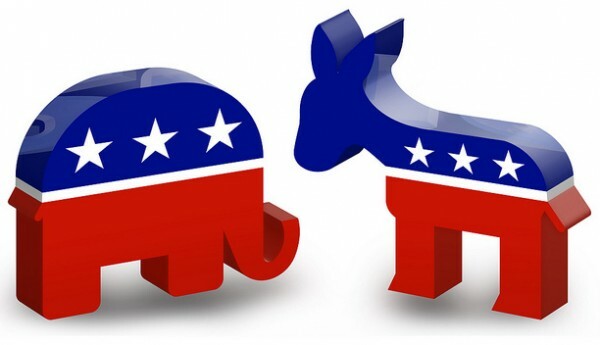 I’ve tried to stay away from partisan US politics in my blog. I haven’t hidden my opposition to President Obama’s foreign policy, but I have avoided the progressive-liberal-conservative debate except when it touches on the conflict between Islam and the West. I have never discussed Obamacare and rarely mention immigration or voter ID, although as an American I clearly have opinions about these issues. But today I have an extremely partisan message for Americans: Please elect Republicans to the House and Senate. I am speaking as an American, but also as a Jew and an Israeli. I am asking for your help in preserving the Jewish people in one of the most dangerous times since WWII. 1. Despite all evidence that it would result in a terrorist enclave next to Israel’s heartland, the administration continues to insist on withdrawal from the territories and the creation of a sovereign Palestinian state. It takes the positions that Israel is not sovereign in any part of Jerusalem, and that any construction outside of the 1949 armistice line is “illegitimate,” whatever that means. It encourages European boycotts of Israeli goods over this issue. Pressure on Israel on these issues is unrelenting, even though Islamist violence throughout the region is exploding. 2. When Hamas viciously attacked civilians with its rocket barrages, the administration tried to prevent Israel from defending herself both by demanding that Israel unilaterally cease operations and by taking concrete actions — embargoing weapons deliveries, shutting down flights to Ben-Gurion Airport, etc. Obama and Kerry took the position that collateral damage in Gaza was ‘disproportionate’, despite the fact that the ratio of civilian to military casualties was better than that of any of the US or NATO operations in similar situations. Kerry promoted a ceasefire agreement proposed by Qatar and Turkey, the main supporters of Hamas, rather than the Egyptian version that was ultimately accepted. Even if this is exaggerated, there is no doubt that Administration policy is to allow Iran to have the capability to enrich uranium, something which is needed only for weapons development and not for power generation. Iran will be left with a ‘breakout’ capability, which will permit it to deploy weapons in a matter of weeks or months. In the past the US has acted to prevent Israel from striking against Iranian nuclear facilities; if the coming agreement turns out to be as weak as expected, then US and Israeli interests will be directly in conflict. Despite disingenuous pronouncements of support for Israel’s security, this administration is aligning itself with Israel’s enemies in a futile bid for the favor of Islamists, both the Shia and Sunni varieties. Unfortunately, an American president has tremendous power in foreign policy, and can’t be deposed by a vote of no confidence as in parliamentary systems. After next week’s election the President will be the lamest of ducks, and there will be little reason for him to hold back his anti-Israel animus. The only limitation on the President and his cadre of unelected and unaccountable advisers is the US Congress. And, while there are exceptions, the primary opposition to administration policy comes from Republicans. Possibly some of them push back against Obama’s anti-Israel actions out of partisanship, simply because they see an issue that resonates with many Americans, but frankly I don’t care. It’s enough that they try to restrain him. I understand that you are concerned with domestic issues. But if you care about what happens to Israel and the Jews, think hard about this when you vote. This entry was posted in American politics, US-Israel Relations. Bookmark the permalink. No one understands Obama’s Mideast policy. Is it to create the most unstable situation possible? To wreck as many countries as possible? He clearly doesn’t care what happens to Jordan if Israel leaves the West Bank, let alone what happens to Israel. Pressuring Israel to “make peace” in the midst of a burning Middle East reminds me of the Nazis’ war effort as it crumbled to pieces, and yet they still obsessed about the remaining Jews. Obama was brainwashed by early mentors/handlers (e.g., Khalid Al-Mansour, Edward Said, Rashid Khalidi) into being a total and complete believer in the bogus Palestinian “cause”. In addition to that, he was brought up by his extreme leftist mum and grandparents to hate the West; he sees Israel as one of the most blatant examples of ‘rich white guy imperialism’ over a vulnerable, dark-skinned people. For these reasons, Obama’s #1 priority is to “solve” the “Palestinian problem” in a way that finally brings “justice” to the “poor oppressed Palestinians”. He really believes in this nonsense, hook line and sinker. Once upon a time – circa even as little as 20 years ago – a far left liberal anti-American academia twit like Obama could not even get nominated for the presidency. The many ways in which he was objectively unqualified for the job to a toxic degree would have been duly exposed by our media, and he would have been lucky just to get into Congress. However, starting about ten years ago, give or take, something very eerie and ominous started happening to our media here. Maybe it started even before that, but it was certainly noticable after the 2006 Lebanon war. There had always been back-and-forth about Israel, and some outlets were decidedly anti-Israel, but after that point, it seemed like the rule was this almost across the board: If you don’t have anything bad to say about Israel, don’t say anything at all. Obama was backed by a combination of Gulf Arab petrodollars, far left academics and media types, and the anti-Semite wing of the Washington establishment, who all decided that the best way for the United States to buy herself a cheap and easy exit from the War on Islamist Terror, was to deliver Israel to her enemies, and thus appease them into not attacking us so much anymore. Ergo, Obama’s many failings were deliberately glossed over; he sold his political soul to these interests – did so eagerly, I imagine – in order to screw Israel to the maximum extent from the position of the most powerful office on earth, as head of Israel’s most important erstwhile ally. – Would be able to co-opt the Jewish vote by appealing to their liberal domestic policy agenda, plus making them euphoric over supporting the ‘first black president’. – Having attracted the support of so many Jews, could then screw Israel in plain sight since most Jews would shrink from holding him accountable, after they had supported him so enthusiastically. – Would not be inhibited by ANY sympathy to traditional Western values, genuine Christian religious beliefs, etc., as past presidents had been that might get in the way of his putting the screws to Israel to the full extent of his ability. This would be a president who would stop at NOTHING to pursue an anti-Israel agenda. That is the purpose of this presidency. It is to either a) force a Saudi-style ‘peace’ [surrender] plan down Israel’s throat that would amount to little more than slow assisted suicide for the Jewish state of Israel, or failing that, b) isolate Israel in the world community as a pariah state via the UN, in order to be stranged politically and economically in the manner of Rhodesia in the 1970s. This is being done in order to appease Islamist sensibilities in the hopes that by carrying out this little ‘mission’, Islamists will see that the U.S. national leadership is sympathetic to their point of view concerning Israel, and will thus refrain from waging violent terrorism against the U.S. At least, that is how this policy is rationalized by it’s proponents, though a lot of what motivates this is simply greed – people like Martin Indyk lining their pockets with petrodollars – or just out-and-out anti-Semitism. Moreover, there is cowardice at work here. The alternative – admitting Israel is right and her adversaries wrong – would put the U.S. on a path towards open confrontation with the Islamic world. Though there could be damage done to the U.S. in the course of such a confrontation, we would easily win, but many in the U.S. political establishment are not willing to face such a situation, and prefer to try to avoid this at Israel’s expense. Does Obama’s policy make sense to you now, shalom-hillel?